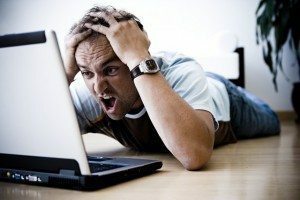 Is Your Website Down or is it Just You? 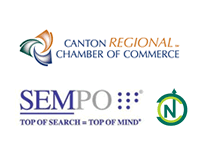 As a Canton Ohio Website developer its our job to monitor the accessibility and availability of the sites we host. Its our job to monitor the accessibility and availability of websites we are responsible for. In fact, this is a big and important part of what we do because there is no sense in having a site if it does not run properly. For this reason, we actually have certain tools in place just to use for monitoring whether or not a site is running as it should. But, no matter who you choose to use for your website development and hosting it is best to use a ‘trust but verify’ approach. If you are being alerted to the fact that your website is down – it is terrifying news. Your entire livelihood depends on whether your site is up and running. When you receive this kind of information though, you need to confirm this is true. To find out whether it is a local issue, you should use a reliable third party to see what the rest of the world is seeing when they visit our site. Luckily, this isn’t as challenging a task as you might think. There are ways to do this and you can decide which might work best for you. Consider using a site like Down For Everyone or Just Me or Down or is it Just Me. This is a great way to find out if your issue is global or not. From there you will find out the most important thing you need to know – is your site having local or worldwide issues? Another thing to do is to test the path to your site using command line prompts like ‘ping www.mysite.com’ or ‘tracert www.mysite.com in order to check on the health and status of your own website. As an Ohio website developer we also always suggest you use monitoring services. It’s why we have made it part of what we do for our development. Yet, too many people who don’t have this type of service included in their hosting miss the mark. Before hiring someone to do your website development and hosting, it would be a good idea to ask if this is something that is included. If not you can consider things like using monitoring services such as that which is available at Pingdom.com. You can also try Site Up Time and Pingability as other methods to monitoring your website. The important thing is to make sure you are doing this. Without it, you can be running a site you rely on for business, have problems with it and not even realize it.